As the start of the 2013 season draws nearer, NEC linebackers of past and present have been making headlines. Overtime! Blog has already brought you the lowdown on the preseason honors bestowed upon Duquesne linebacker Dorian Bell. Just last week, Bell’s hometown newspaper, the Pittsburgh Post Gazette, ran a story on the Buck Buchanan Award hopeful. When training camps commence around the NFL this week, two former Wagner linebackers will be in action. One of those men is Julian Stanford. 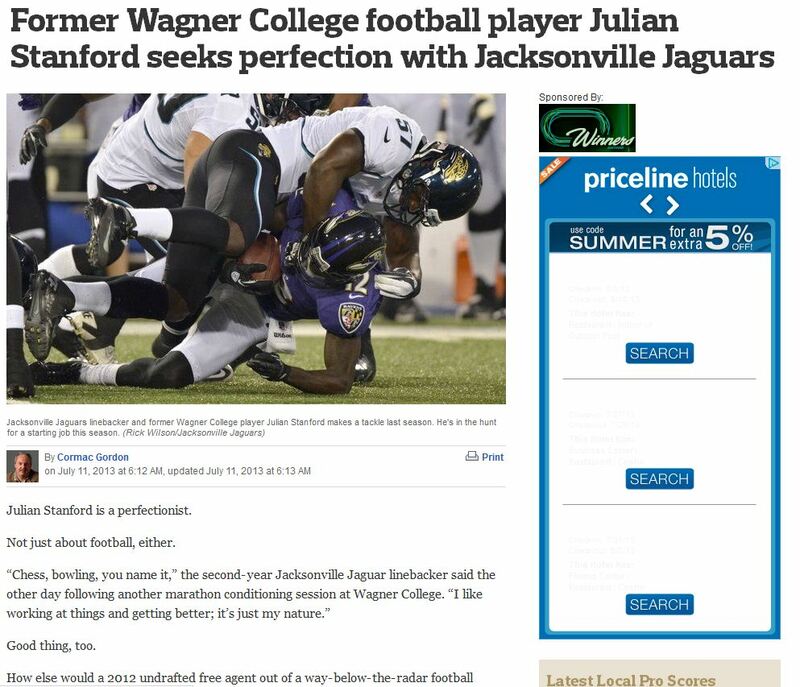 The native Floridian and former all-NEC selection was signed as an UDFA by Jacksonville following the 2012 NFL Draft. He worked his way onto the Jags’ 53-man roster and eventually into the starting rotation. Staten Island Advance columnist Cormac Gordon caught up with Stanford while the former Seahawk was spending time working out at his alma mater. While Stanford looks to turn some heads with his sophomore NFL season on the horizon, rookie C.O. 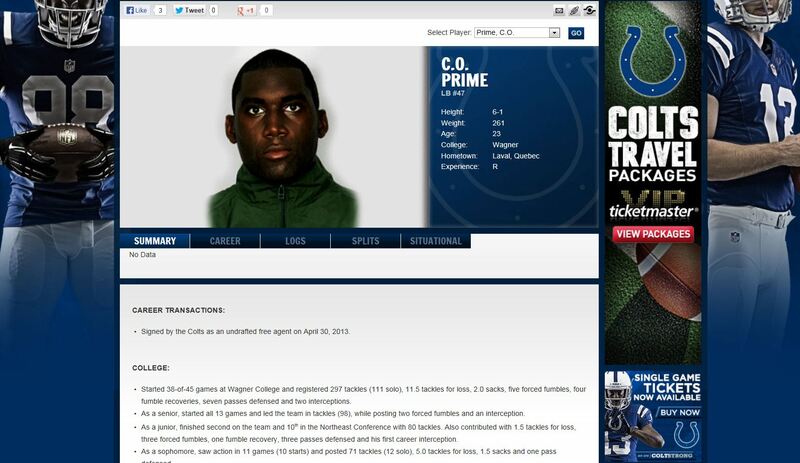 Prime will attempt to latch on with the Indianapolis Colts. 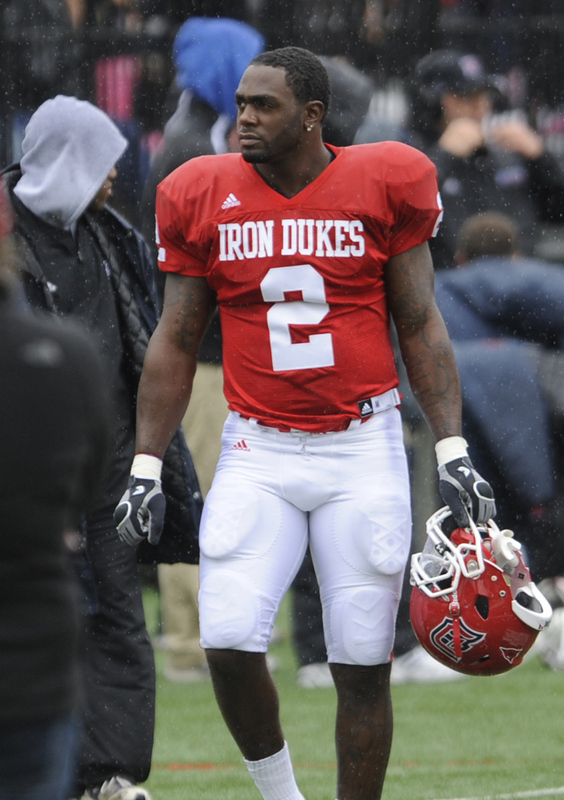 Prime, who earned all-NEC honors as a senior and helped Wagner to the 2012 NEC title, was signed to a free agent contract following the 2013 NFL Draft. 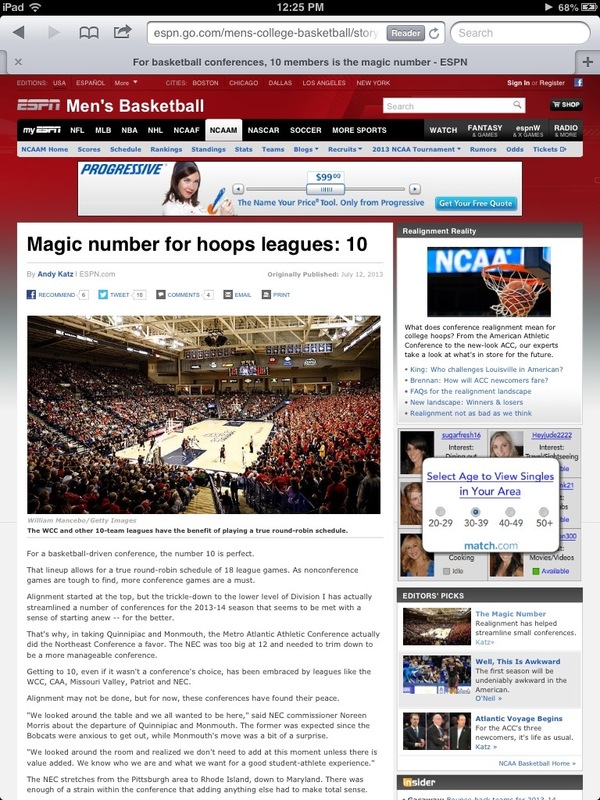 One of the most well-known college basketball commentators, Andy Katz, chose investigate NCAA conference realignment at the mid-major level in his latest ESPN.com column. For part of the story, Katz spoke with Northeast Conference Commissioner Noreen Morris about the effect the recent realignment had on the NEC. In his writing, Katz hints that the current size of the NEC’s core membership, which decreased from 12 to 10 on July 1, may be ideal for a mid-major hoops league. The Sports Network released its list of preseason hopefuls for the Buck Buchanan Award, and all-NEC linebacker Dorian Bell found himself amongst the elite defensive players in Division I FCS. Days after being named one of the NEC’s three preseason All-Americans by the Sports Network, Bell was one of 20 FCS players to make the Buchanan Award Watch List. Bell’s selection gives the NEC two major contenders for the top individual honors in FCS. Earlier this week, Bryant senior wide receiver Jordan Harris was one of 20 names on the prestigious Walter Payton Award watch list. The Sports Network set the carousel in motion. The newswire service became the first widely-recognized organization to release its Preseason Division I FCS All-America selections and a trio of Northeast Conference gridders made the prestigious list. Duquesne linebacker Dorian Bell (First Team), Bryant receiver Jordan Harris (Second Team) and Central Connecticut all-purpose runner Rob Hollomon (Third Team) achieved the Preseason All-American status. For Harris, the honors didn’t stop there. The dynamic pass-catcher, who is within striking distance of the NEC’s all-time receiving yards mark, is one of 20 FCS players to appear on the preseason edition of the Walter Payton Award Watch List. The Bryant program is no stranger to the Walter Payton Award, which has been bestowed annually upon the top performer in FCS since 1987. At points during both the 2011 and 2012 season, Bryant running back Jordan Brown was on the official Watch List. With Phil Steele set to announce its All-America Teams in the coming weeks, along with other publications, it’s likely the three aforementioned NEC players will see their names in print again. A number of additional NEC athletes could be honored as well. Wagner running back Dominqiue Williams, who totaled over 1,500 yards from scrimmage for the 2012 NEC champions, certainly has shown All-America potential. Robert Morris left tackle AJ Dalton is another NEC gridder who has apparently caught the eyes of some scouts. Both Harris and Bell received postseason All-America honors for their efforts in 2012 along with former RMU defensive end Nolan Nearhoof, who graduated in May. Although Hollomon wasn’t amongst the NEC’s group of 2012 All-Americans, he didn’t fail to make national headlines. The former Kent State commit turned CCSU Blue Devil posted back-to-back 200-yard rushing games in the last two weeks of October. Hollomon’s 307 all-purpose yards, 280 of which came from scrimmage, against Saint Francis were enough to earn him the Sports Network National FCS Offensive Player of the Week nod on Oct. 29. A complete receiver, Harris has been making big plays since cracking Bryant’s lineup as a freshman. After catching 25 balls for 467 yards as a rookie in 2010, he has pieced together back-to-back monster seasons. He averaged 20.4 yards per reception in 2012 following a 22.8 ypr mark in 2011, making him the first player in NEC history to exceed the 20.0 yards per catch mark in consecutive seasons. Harris has compiled 2,202 receiving yards and 24 touchdowns on 103 receptions over his previous two seasons. The 1,243 yards he gained in 2012 place him second in the NEC’s all-time single-season record book. With 2,704 career receiving yards, the all-time NEC mark (3,464) is within reach for the Walter Payton Award candidate. 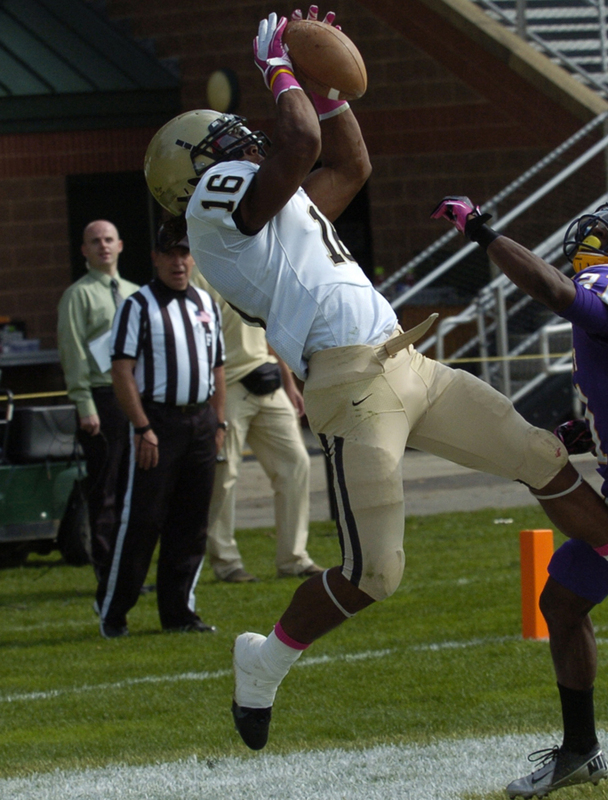 Harris hauls in one of his 15 TD receptions in 2012. The physically-gifted linebacker was a five-star recruit out of high school before signing on with Ohio State and playing one season with the Buckeyes. Since returning home to western Pennsylvania and putting on the Duquesne uniform, Bell has been a headache for opposing offensive coordinators. He played eight games in 2012, his second season at Duquesne, and produced 12.0 TFL and forced three fumbles. The defensive playmaker has great size and ability at the linebacker position. With the graduation of former all-NEC LB/S Serge Kona, Bell could possibly take on an even bigger role in 2013. Back in his native Keystone State, Bell has been busy making big plays. At 5-foot-8, Hollomon may be small, but the plays he makes are big. The Philadelphia product played his freshman season for FBS member Kent State before transferring to CCSU and proceeding to take the NEC by storm. The Blue Devils lost veteran running back Chris Tolbert to injury before the 2012 season even kicked off, but Hollomon was quick to step up and shoulder the load. He wound up with a NEC-best 1,710 all-purpose yards in only 10 games. He totaled 300+ all-purpose yards in back-to-back games in October and Hollomon’s 96-yard kickoff return for a touchdown against Robert Morris was one yard shy on the all-time NEC long. 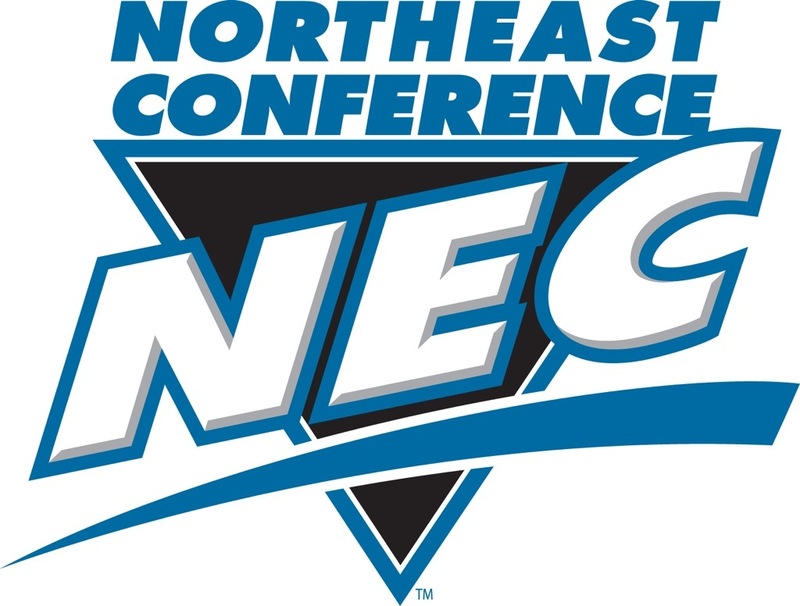 Without throwing away 15-plus years of logo-brand recognition, the Northeast Conference gave itself a more modern look. Preparing for it’s 33rd year of sponsoring intercollegiate athletic competition, the NEC unveiled an enhanced company logo. The new mark will look rather familiar to fans. 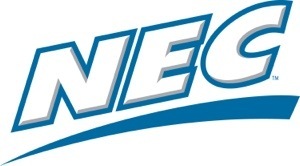 Rather than the creation of an entirely new logo, the NEC simply tweaked its already-existing mark.